Little Rock (population 184,133), home to the Quapaw people, was visited by French explorer Bénard de la Harpe in 1722. He built a trading post on the Arkansas River near the smaller of two rock outcroppings, hence the city’s name. In 1812 William Lewis, a fur trapper, built a home near the “little rock.” A community developed, and in 1821 it became the capital of Arkansas Territory. Little Rock became the state capital when Arkansas was admitted to the Union in 1836 and was incorporated as a city that same year. In 1836, the federal government bought land for a military outpost, and Gen. Douglas MacArthur was later born in one of the buildings of that same arsenal. The surviving building now serves as a museum of military history. By 1840, the town had grown to 1,531 residents. At the outbreak of the Civil War in 1861, the inhabitants of Little Rock strongly supported the Confederacy, but in September 1863, Union forces under Gen. Frederick Steele captured the city. The town grew dramatically in the wake of the Civil War with many new citizens, easy credit, northern capital, and a rail connection to Memphis. Little Rock became an important transportation center in the 1880s, and its growth as a manufacturing hub began in the 1940s. Worldwide attention was focused on Little Rock in September 1957, when nine black students unsuccessfully attempted to enroll in the city’s Central High School. Until that time only white students had attended the school, despite a federal order that barred continued segregation. When the black students were refused entry into the school, sporadic rioting broke out, and as tension mounted, President Dwight Eisenhower sent federal troops into the city to preserve order. Under their protection, the black students completed the school year. The next year, the school board closed the city’s high schools, but when they reopened in September 1959, some black students were admitted, and in the 1960s integration was gradually achieved. During the 1960s and 1970s the city enjoyed considerable growth and urban renewal, due in part to a federal navigation project on the Arkansas River that made Little Rock an important regional port. Population has increased steadily since the 1960s. From the 1980s until the early 1990s, Bill Clinton, then governor of Arkansas, lived in Little Rock; in 1993 he became the 42nd president of the United States. 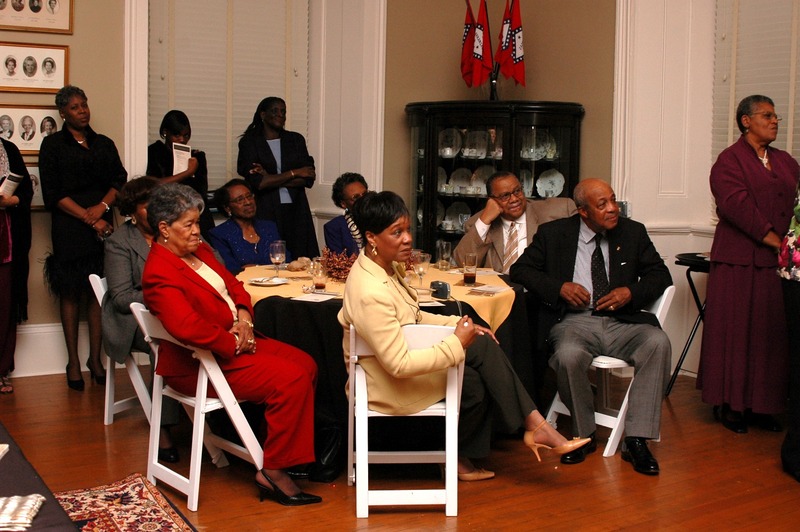 President Clinton announced his candidacy and spent both election nights at the Old State House Museum in Little Rock. His presidential library is located nearby. Today Little Rock is a financial, commercial, manufacturing, and distribution center for a region with abundant sources of raw materials. Among the city’s products are communications, aerospace, and electronic equipment; lumber and wood products; printed materials; and processed food. Government, medical facilities, higher education, and industry continue to be major local employers. Little Rock Air Force Base is nearby. Attractions in Little Rock include the state capitol; the governor’s mansion; Quapaw Quarter, a district of restored buildings that includes the Old State House, a National Historic Landmark; the Arkansas Territorial Restoration, a group of restored homes from the early 19th century; and MacArthur Park. Little Rock has 15 National Register Historic Districts. A leading annual event is Riverfest during Memorial Day weekend. A biennial tour of historic homes hosted by the Quapaw Quarter Association draws more than 500 visitors, and self-guided walking tours are available.